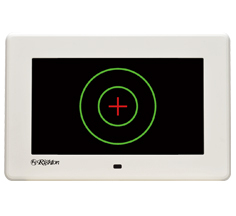 Righton unique face-to-face, high-precision and reliable Japan made latest advance subjective measurement system. 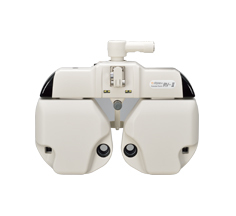 High-precision lenses and wider measuring range (-32D to +33D) Main body is 24% smaller than conventional model which allows easier view of patient's face through the wide space between lens chamber. 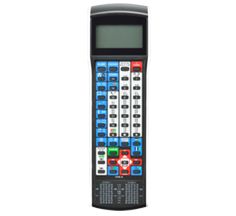 Remote control unit offers individual keys for control of both refractor and charts. 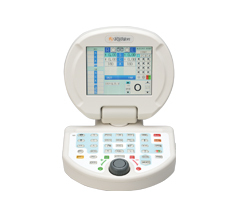 Using chart keys enables direct control of chart system. 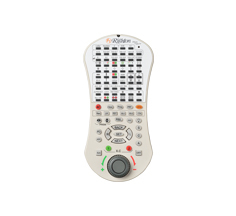 Hand-held wireless remote control unit enables control of RV-II from 8 meters away, allowing operator to point directly to chart contents. 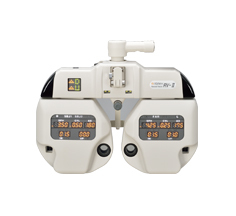 Can be used with both types of refractor or in combination with hand-held remote control unit. 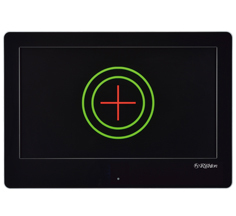 With preloaded the most advance subjective test program, it suits most of the user needs in any scene. Flexible combination to suit all needs, budgets and locations. 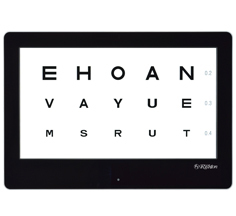 Variations of the RV-II system can be made using a combination of refractor (with/without LED), remote control unit, table control unit and printer depending on needs, budget and installation location. 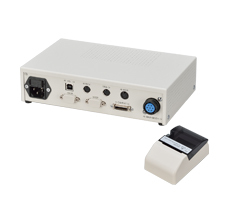 Barrier FREE data communication by utilizing Infrared and RS232C ports. 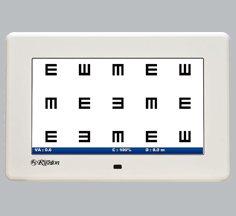 i-Media is capable of communicating with most of the Righton's conventional devices. Budget and space-saving solution. 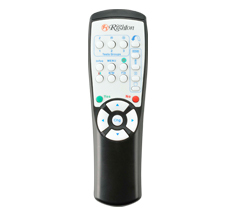 Can be used with the refractor on a regular power table. 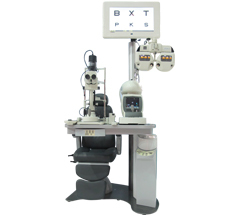 * 2m - 8m selectable reading distance.